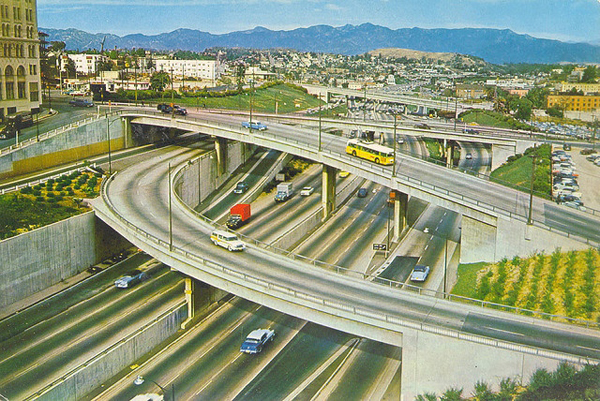 I looked at this old photo for a while and couldn’t figure out where it was taken until I read the caption on Flickr: it’s the 110 freeway in downtown Los Angeles, looking north from 6th Street. I’m guessing the photo was taken in the late 1950s, judging from the vintage of cars — but I’m not sure. How about that traffic? And where are all the buildings?